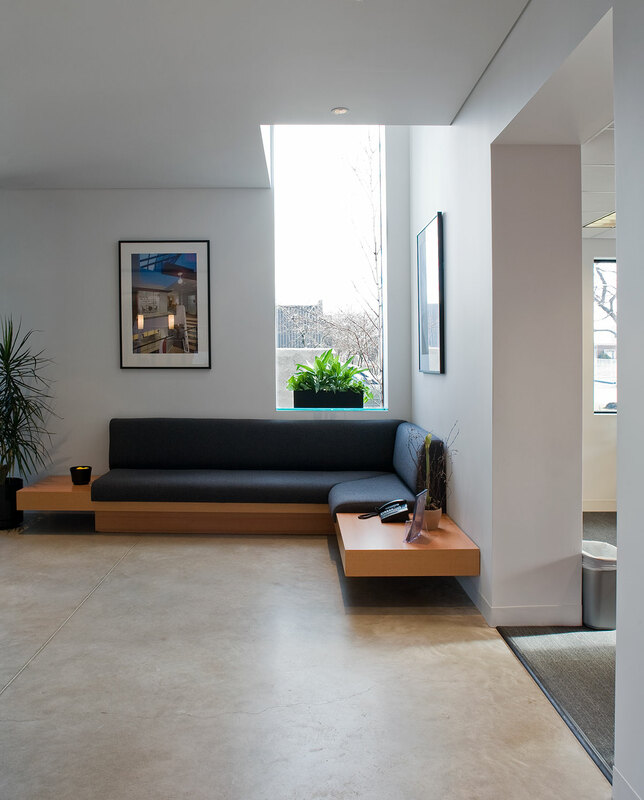 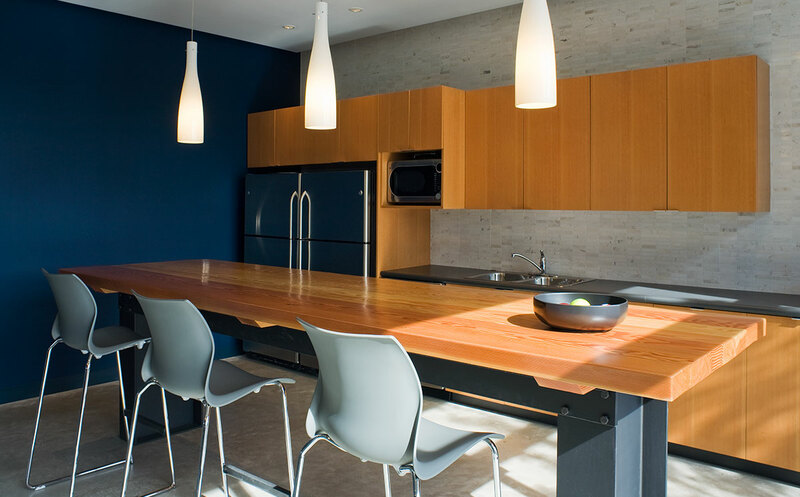 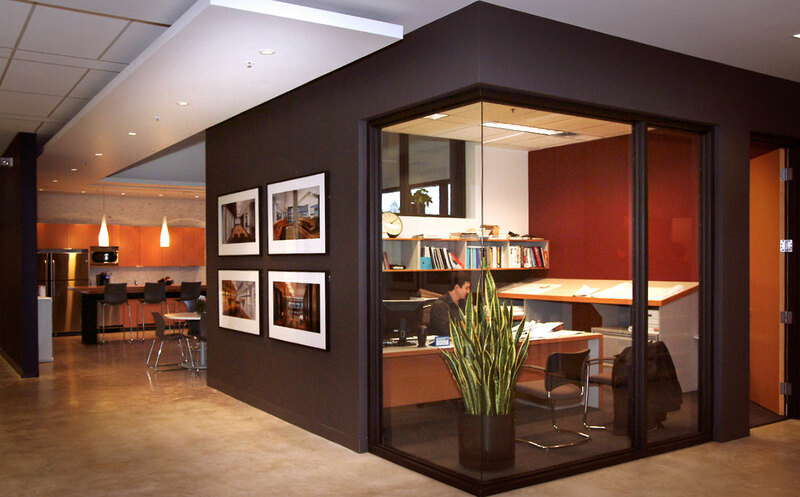 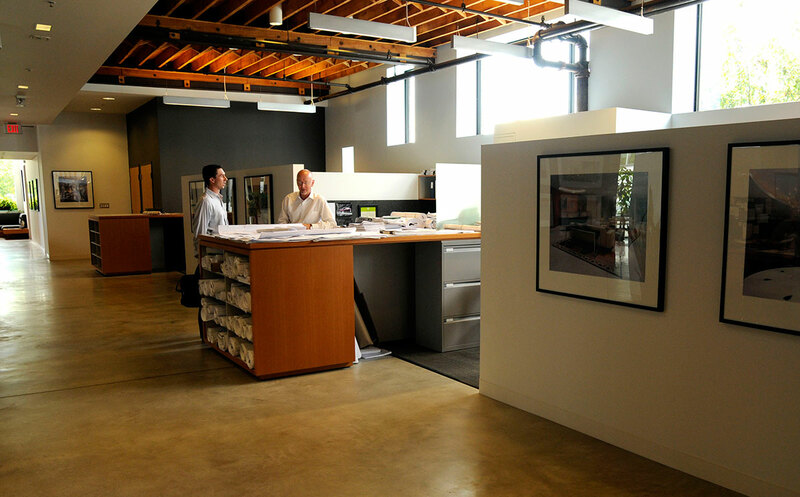 Design Partner: Building Arts Architect Inc.
contracting consulting services to corporate office occupiers and landlords throughout Ontario and through its Strategic Alliance Partnerships, MARANT is able to manage projects across Canada. 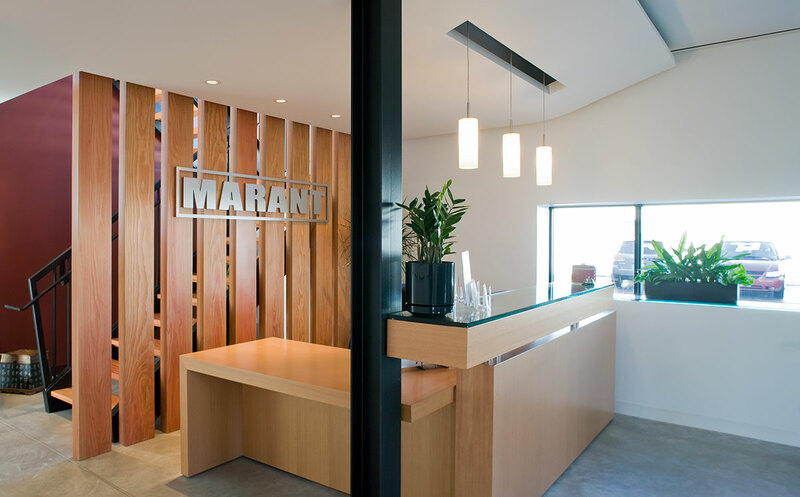 Although the work of contractors and architects is usually based on constructing environments for others, MARANT had the unique opportunity to design and build their own work environment in a converted industrial product plant. 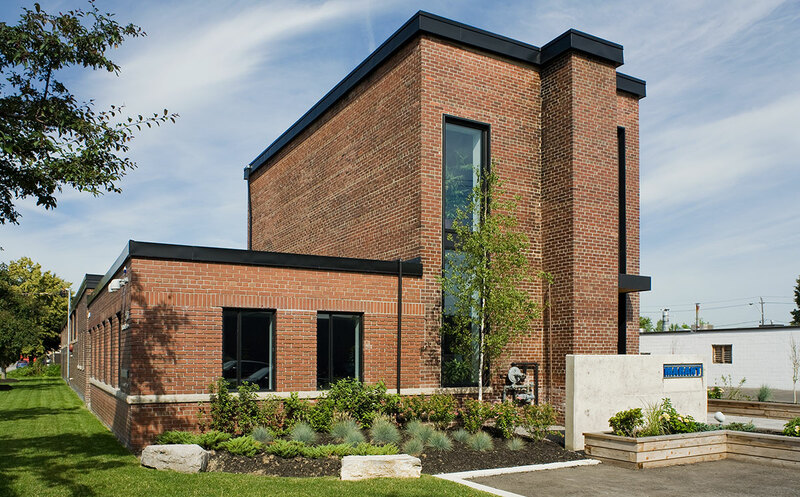 The brick building, located in Leaside, was originally built as a saw mill, but it was more recently used as a commercial chemical production/warehouse company. 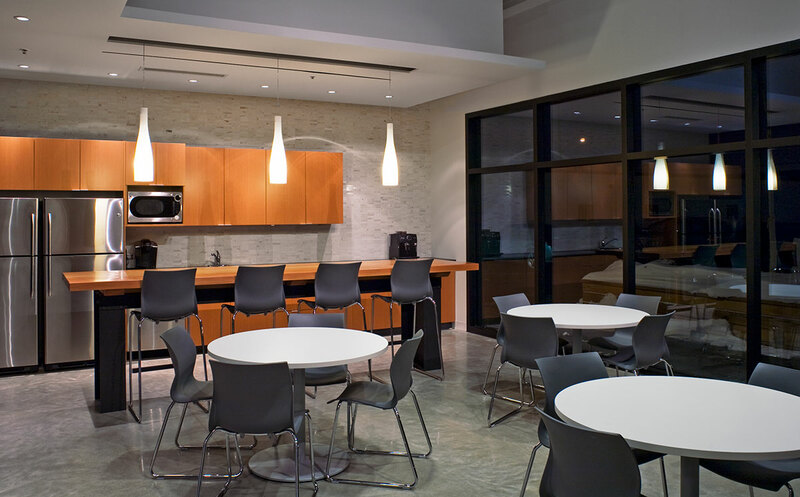 The existing building interior was gutted, including all HVAC and electrical and dramatically reworked in preparation for its new life as an office and warehouse facility. 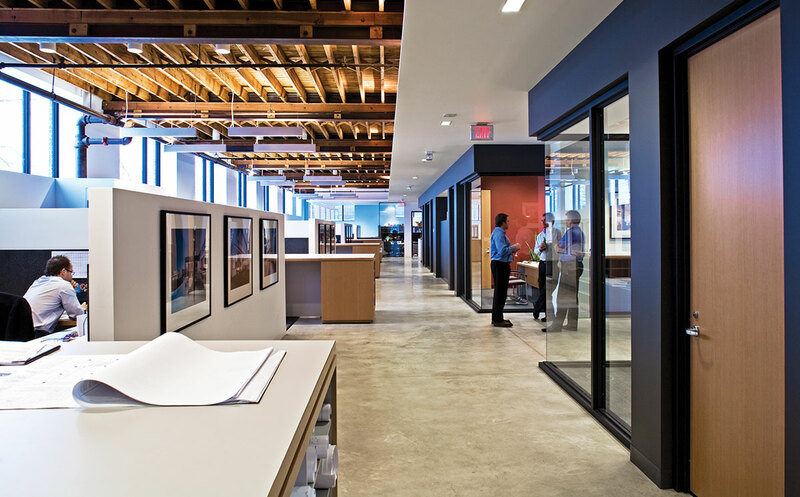 Early design discussions confirmed the space would need to maintain some of its industrial heritage and, to exhibit the strength of the organization, materials such as concrete, steel, timber and terra were featured as “finish” materials within the new office facility.